Short weeks are the worst for news. Short weeks in February are the worst of the worst. For some reason, schools in parts of the country such as the one your editor lives in (New England) give kids a week off of school in February, after Presidents Day. A week of school vacation means that there's even less going on than there normally would be in a short week, or in February, or both. So far this week, we've read news about what might be Microsoft Office for iPad (not uninteresting, but we're holding out for the webOS version, thanks), and Microsoft extending consumer support for Windows 7 and Vista, as if anybody actually uses Vista and needs it to be supported. Heading back in time, we find that nobody likes the new logo (well, almost nobody), and some pundits downright hate it. Here at RCPU, though, we see in the new design much more than a logo. We see history. Your editor is a massive flag nerd, if there even is such a thing, and has been since childhood. So the new Windows 8 image -- which, we figure, is supposed to look like an actual Window -- reminded us not of an opening in a wall but rather of the centuries-old crosses that adorn flags in Scandinavia and the British Isles (and in Finland, which is not part of Scandinavia, as you already know). These crosses -- which generally represent the actual cross of Christianity, or at least did when someone first put them on fabric -- have various origins, shapes, colors and placements. Most represent some sort of saint, and if you want to know more about that, maybe your editor can get his wife, who has a Ph.D. in medieval theology (no, really) to answer some questions one of these days. In any case, though, these "logos" are all crosses, and most of them are really old, as in even older than Windows XP. The origins of Scotland's flag date back to about 1200, or approximately three years after Lotus 1-2-3 was released. 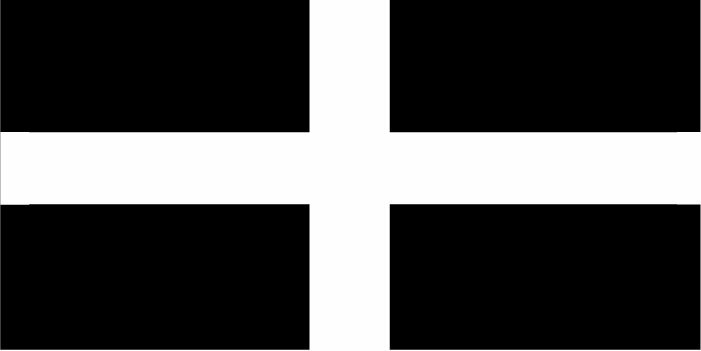 The first thing we thought of after viewing the Windows 8 logo was the flag of St. Piran, which flies over Cornwall, a Celtic bit of England that juts out to the west, just south of Wales, and happens to be your editor's ancestral homeland. (Tre, Pol or Pen, and ye shall know your Cornish men. The "Pen" in this case is for Pender.) The Cornish have opted for a more down-to-business black and a thicker cross, but they're not far off of the Windows 8 look. They surely must be thrilled about that. Of course, the Scandinavians are well known for their cross flags. 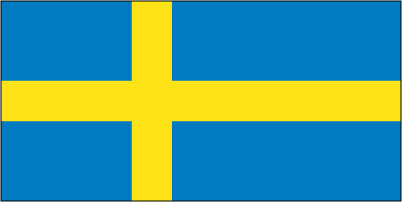 Sweden's banner adds a splash of yellow to what otherwise looks a lot like Windows 8 blue. 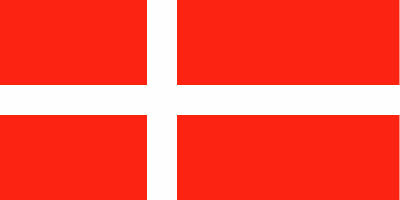 The Danes stick with the white cross but bathe it in vivid red. And the Finns (not Scandinavians, as we mentioned) very nearly provide a photo-negative image of the new logo, with an offset cross in light blue. 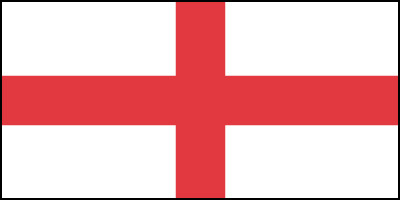 And then there's England, which has solidly adopted St. George's cross. 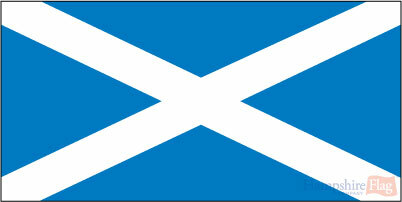 The Scots fly the cross of St. Andrew, which basically inverts the cross on the Windows 8 logo. Taken together, whether they want to be or not, the English and Scottish banners form the famous Union Jack, which some insist is not the Union Jack at all but actually the Union Flag. Hash it out for yourselves in the comments. First row: Cornwall, Sweden, Denmark. Second row: Finland, England, Scotland. We've rounded all this up mainly because, again, your editor is a big flag nerd but also because it's RCPU's position that we very much like the new Windows 8 logo. Forget about whether it has continuity with the rest of what Microsoft is doing or looks like something from 1985. This is a logo steeped in lore, which borrows from the history and tradition of some of the world's great nations. Did Microsoft intend it to be that way? We'd like to think so. But there's more to the logo than just a resemblance to a few national flags. There's the cross. Let's set aside the religious symbolism of the cross here -- we're pretty sure Microsoft didn't mean to include any of that -- and think more of the old phrase, "We all have our crosses to bear." In the Windows 8 logo, we see represented graphically the cross Microsoft bears with Windows. Windows is old and arguably in decline, not unlike some of the cross-flagged nations whose former empires have disappeared (we won't say which ones). But the Windows 8 cross (St. Ballmer's? Maybe not) also represents Microsoft's stability in a changing world. After all, Sweden, Finland, England and friends (and some auld enemies) are still around despite being tossed pretty heavily on the waves of history. And so it is for Microsoft. The company moves into the Windows 8 era with a new, and risky, version of a tried-and-true product. And while success for Windows 8 isn't guaranteed, Microsoft's survival as a big and influential software company -- and as a money-hose for its partners -- probably is. Just as There'll Always Be an England, there will (probably) always be a Microsoft. Like the Windows 8 logo? Hate it? Sound off below or at lpender@rcpmag.com.